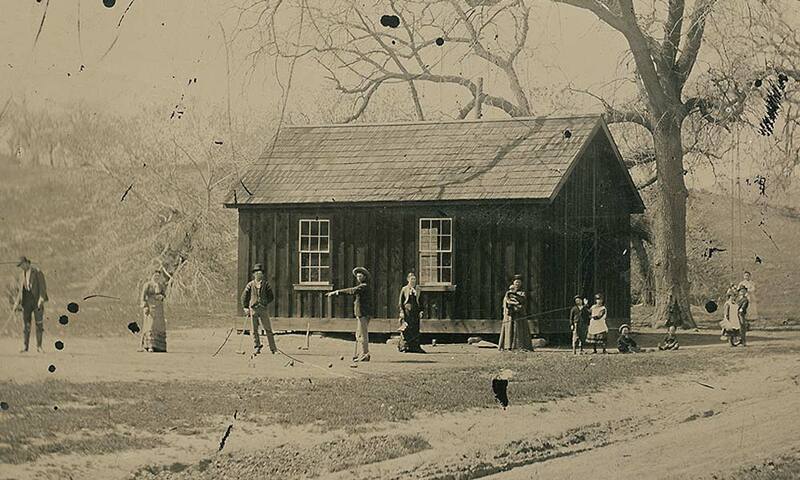 Boxing Impresario Nonpareil Judge Roy Bean’s fighting matches could drive one to drink. A look at the record of heavyweight championship fights reveals that on February 21, 1896, Ruby Robert Fitzsimmons defeated Peter Maher, the Irish champion, in a bout held in Mexico. Mexico? Well, sort of, if you consider that a sandbar in the Rio Grande just a few hundred yards from Langtry, Texas, may have belonged to Mexico and not the United States. The man behind the fuzzy geographical claim was of course Judge Roy Bean, “Law West of the Pecos” and Langtry’s most prominent citizen. 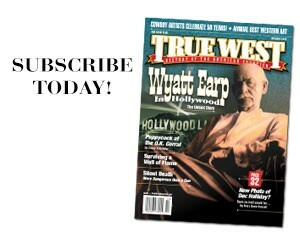 On that day in 1896, Bean had put aside his judicial duties and was playing host to some 200 fight fans and sports writers who had traveled from El Paso by special train to see “the fight of the century.” In a moment of canny creativity, Bean had come to the aid of a Dallas boxing promoter named Dan Stuart, who had lined up the fighters and gotten a movie company to finance a $10,000 side bet. But Stuart couldn’t find anywhere to stage the fight, given the fact that professional boxing was outlawed in almost all the states in the Union. 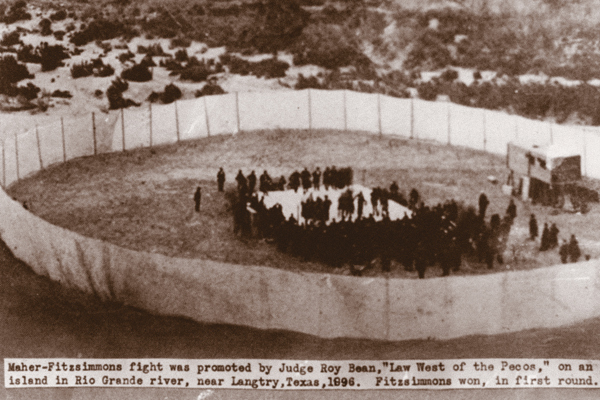 When Bean pointed out he was the “Law West of the Pecos” and said he could stage the fight in Langtry, Stuart jumped at the opportunity. The location was kept secret from the fight fans and the newspapers. Stuart told all that the fight would go on as scheduled, and to see it, one had only to show up in El Paso and board the special train that would take them to ringside. When the train arrived in Langtry that day, a contingent of Texas Rangers who had gotten wind of the location were there to stop the fight, but they could do nothing since their jurisdiction did not extend into what was believed to be Mexican territory. So they joined the others who had come to see the fight, walking over a rickety wooden bridge to the sandbar where Bean had erected the boxing ring. Fitzsimmons knocked out Maher in 95 seconds of the first round. Disappointed fans trudged back to the train only to find the wily Bean had bribed the train’s engineer to delay the return to El Paso for several hours, leaving the crowd with nothing to do but drink beer from his saloon, which he sold at inflated prices. As a boxing impresario, Bean could give lessons to some of those operating today. David Ansel Weiss is a freelance writer specializing in American history. His articles have appeared in many leading national magazines. The Croquet Kid A controversial image has kicked off a modern-day Lincoln County War that has upended the world of Old West collecting. 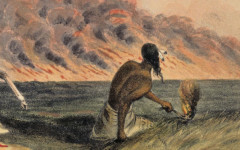 Experts face off over its authenticity. You decide who to believe. 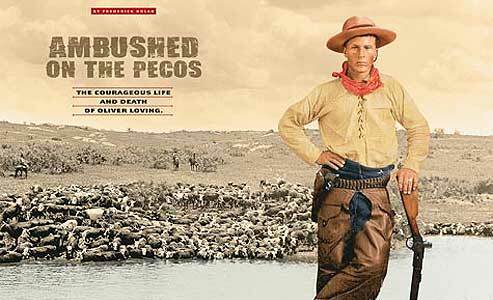 Ambushed on the Pecos The courageous life and death of Oliver Loving. The Other Bowie’s Epic Battle Against overwhelming odds, the less famous Bowie brother risked life and limb during a ferocious attack.